Q. Is Stats Camp open to students worldwide? A. Yes, of course we are open to folks from all over the world. A. Class size is around 20 (but can be as small as 5 and as large as 40 when full) and we will often have teaching assistants as well as one-on-one instructor time for every student. Q. 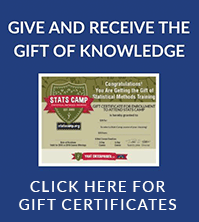 Is Stats Camp open to professionals and the general public? A. Yes, Stats Camp is open to all. We believe our role is to elevate the applied research community. It’s a calling, we hear it and are compelled to share our knowledge with those in any discipline who is ready to start changing the world one research project at a time. We believe that statistics should not be feared, but embraced and used for the betterment of our place in the world. We are inviting you, if you believe what we believe, to share in the experience and we’ll get through it together. Q. Do postdoctoral fellows qualify as student or faculty? A. 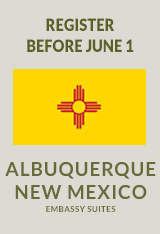 Students, postdoctoral fellows receive the discounted rate with valid ID. Q. Does the price include hotel accommodations? A. No, we often have a discounted room block rate for campers that will last until the room block expires or fills up. 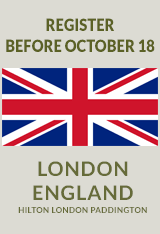 Links are provided on each course page for hotel reservations. Book early no penalty for cancellation. We created a forum to help campers find roommates and share the cost of accommodations. Post an ad here. Q. What is included with my Stats Camp registration? A. You will receive expert one-on-one training from the most experienced world class instructors. During the training you will be provided lunch and select drinks (when possible, additional snacks). Participants will receive an electronic copy of all course materials, including lecture slides, practice datasets, software scripts, relevant supporting documentation, and recommended readings. Participants will also have access to a video recording of the course. Q. Can I save a seat today and pay later? A. Yes, you can register now and choose to pay now or later by invoice, check or credit card. Payment must be finalized 72hrs prior to course start date. Q. Can Stats Camp provide an invitation letter or customized invoice for my department or organization? A. Yes, we would be happy to help you with any paperwork you need to attend a Stats Camp. Please contact us with details about the types of documents and formatting you need. E-mail camp staff for additional guidance. Q. 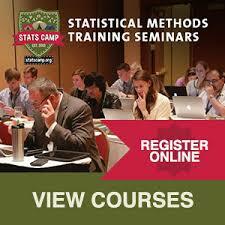 How do the 5 day Stats Camp training courses differ from the 3 and 2 day training courses? A. Our instructors provide more one-on-one time in the 5 day course and we can pace the lectures a bit more flexibly. We can also delve into examples more deeply when time permits. Q. Is there food and drinks provided? A. Yes, lunch and drinks including coffee, tea, and water will be provided daily. When noted and made available to us, we will also provide snacks (usually outside of the U.S. we cannot provide our own snacks). Q. Is there dietary restrictive lunches available? A. Possibly, we do as much as we can to make sure there are lunch options, but often that is determined by the hotel/venue. It is our experience that at a minimum, a vegetarian option is made available.